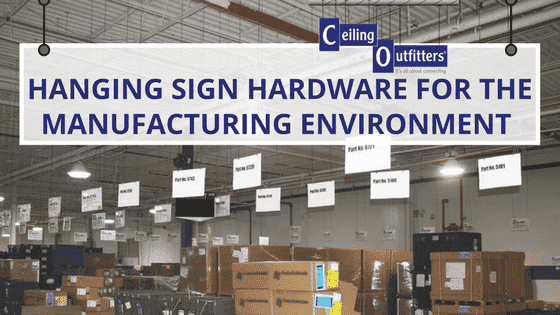 Ceiling Outfitters® has added LoopLine ™ 400 to the existing list of Clik-Clik™ magnetic sign hanging system products available on the company website, along with E-Z™ banner hanging systems, UrbanTrapeze™ and other sign hanging accessories. Ceiling Outfitters is one of the largest Clik-Clik distributors and has helped over 2,000 organizations and placed Clik-Clik™ in over 20,000 stores nationally with sign hanging solutions that are safe, easy to use and price competitive. Created to replace expensive and hard-to-work-with steel cable and barbed-string, LoopLine eliminates the annoyances of hanging a sign level. When matching lengths of cord have the same number of loops, signs hang level. LoopLine has proven effective with retailers, event planners, school districts, printers, grocers and manufacturers across the United States. LoopLine 400 has the same two-inch repeating loops as other LoopLine™ products, with a significant added feature – 400-lb. tensile strength. LoopLine & LoopLine Light offer anywhere from 5 to 25-pound tensile strength. Available in 115 feet (35 meter) spools, LoopLine 400 is made to specifically replace 7 x 7 x 1/16” steel cables eliminating the use of special tools. It is easy-to-install, reusable and cuts with scissors, putting an end to working with sharp and frayed metal cables and carrying special tools up a ladder or scissor lift. 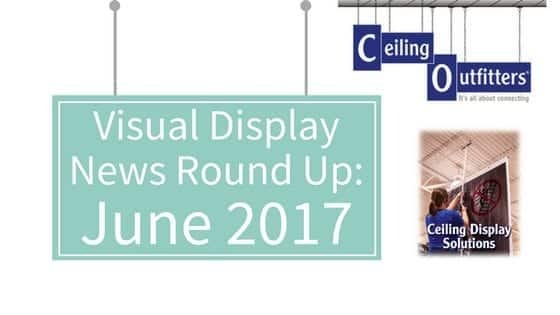 When it comes to visually engaging an audience and effectively utilizing ceiling space to communicate a message, there’s no better method on the market than those offered by Ceiling Outfitters. Since 2007, Ceiling Outfitters has partnered with over 2,000 organizations and 22,000 stores nationally within the retail, manufacturing, education, and hospitality industries. Ceiling space and storefront windows are optimal visual display locations and we help customers utilize these areas safely, quickly, easily and more economically. Ceiling Outfitters is a master distributor of the Clik-Clik family of products, the premier magnetic hanging system that transforms the ceiling eco-system into a workable location for strategic placement of ceiling signs and displays and helps employees suspend items without a ladder or lifting device.